The stage is now set. On May 11 in Saudia Arabia, Russia’s Murat Gassiev faces Oleksandr Usyk of the Ukraine. Both fighters are undefeated. The winner will emerge as the undisputed Cruiserweight Champion of the World. On January 27, Usyk beat Mairis Briedis by majority decision, in an exciting, action fight, to unify the WBO and WBC belts at 200 pounds. 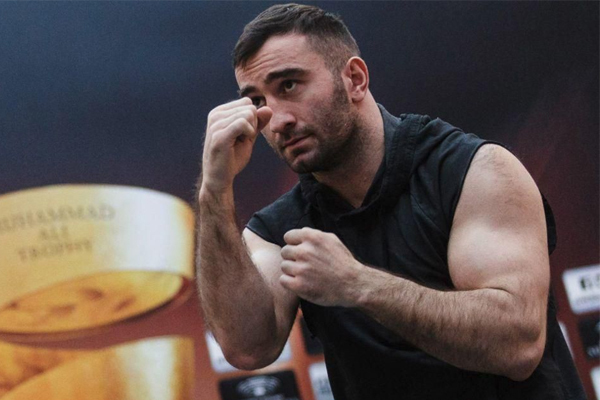 Last Saturday night in Russia, Gassiev stopped Cuba’s Yunier Dorticos in Round 12, to add the WBA to his IBF strap. Usyk vs. Briedis was a very good fight, but Gassiev’s TKO of Dorticos should still get in the conversation 11 months from now, when we are discussing the contenders for Fight of the Year. Both men threw just over 600 total punches, or 50 per rounds. Dorticos used his imposing, 80″ reach to press the action in the early rounds and keep Gassiev largely on his back foot. But from Round 1 on, the Russian showed an impressive commitment to his body attack and slowly but surely took control as the fight progressed. At the same time, Dorticos stayed game all the way to the end. After getting rocked hard at the end of Round 5, Dorticos rallied and stayed aggressive. After a very tough Round 10, he came back and had a busy Round 11. But by the final Round, the tough Cuban was struggling to hang on. The closing seconds of the fight featured sensational action. Gassiev ducked under a wide punch by Dorticos and then dropped him with a brutal left hook. Dorticos made it to his feet but went quickly back to the canvas under the barrage. He beat the count a second time, only to have Gassiev finish him off by stocking him completely out of the ring. Gassiev vs. Usyk has the potential to be the best, even the most important, fight of 2018. These are two great, undefeated fighters, meeting to establish a true World Champion. One, or both, might end up as major players in the heavyweight division in the coming years. It’s a shame this fight will take place in a boxing backwater like Saudi Arabia.